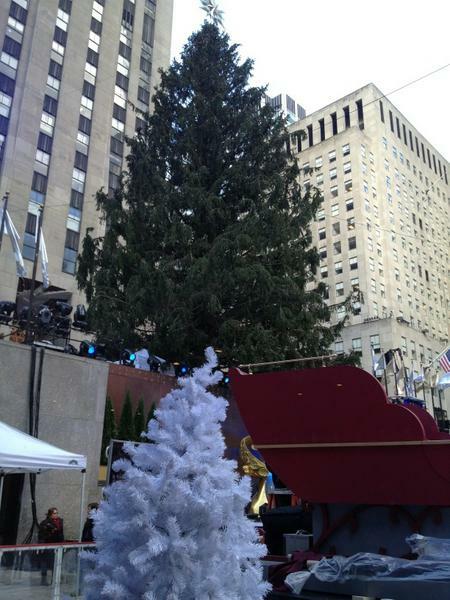 According to mjsbigblog.com, the Christmas in Rockefeller Center special had its highest ratings in 4 years! Legendary performer Diana Ross, Smash star Megan Hilty, chart-topping recording star Demi Lovato, The Voice favorite Chris Mann and American Idol winner Scotty McCreery set to ring in the holiday season as they come together in the nation’s capital for TNT’s annual Christmas in Washington special. In addition, the concert will close with a special performance by “Gangnam Style” sensation PSY. Hosted for the second year by Conan O’Brien, star of TBS’s late-night series Conan, the star-studded concert will premiere Friday, Dec. 21, at 8 p.m. (ET/PT), exclusively on TNT. Celebrating its 31st anniversary this year, Christmas in Washington is a holiday tradition benefiting the Children’s National Medical Center. The concert is attended each year by the President and First Lady, as well as many other Washington VIPs. This will mark TNT’s 14th year presenting Christmas in Washington. Christmas in Washington is set to be taped at the National Building Museum in Washington, D.C., on Sunday, Dec. 9. Scotty McCreery became American Idol’s youngest male winner in 2011, as well as the show’s first country male winner. Since then, the Garner, N.C., native quickly emerged as country music’s most successful new artists. McCreery’s first studio album, Clear As Day, debuted at #1 on the Billboard Top 200 and Top Country Albums charts, making him the youngest man in history to open at the top of the all-genre chart with a debut release. It also garnered the highest sales of any country solo album released last year, held the #1 spot on the Billboard Top Country Albums chart for six weeks and earned Platinum status in just 13 weeks. McCreery won New Artist of the Year at both the 2011 American Country Awards and the 2012 Academy of Country Music Awards. He also won the USA Weekend Breakthrough Video of the Year for “The Trouble With Girls” at the 2012 CMT Music Awards. McCreery was ranked #1 on Billboard’s list of Top New Country Artists for 2011 also earned the No. 4 spot on Billboard’s 2012 List of the Top 21 Under 21. He spent most of 2012 opening for Brad Paisley’s Virtual Reality Tour 2012. McCreery recently released Christmas With Scotty McCreery, which debuted at #1 on the Billboard Top Seasonal Albums chart and remains one of this season’s top holiday albums. He continues to perform and record while pursuing an undergraduate degree at North Carolina State University. TNT has been televising Christmas in Washington since 1999. The show has earned two Emmys® for Outstanding Musical Direction and 13 nominations overall. Christmas in Washington is executive-produced by 16-time Emmy® winner George Stevens, Jr. and directed and produced by six-time Emmy® winner Michael Stevens for The Stevens Company. Most recently, they earned Emmys® for the 2008, 2009, 2010 and 2011 Kennedy Center Honors – one of only six programs ever to win in four consecutive years, George Stevens Jr. is the forthcoming recipient of an honorary Academy Award® for his lifetime contribution to motion pictures. 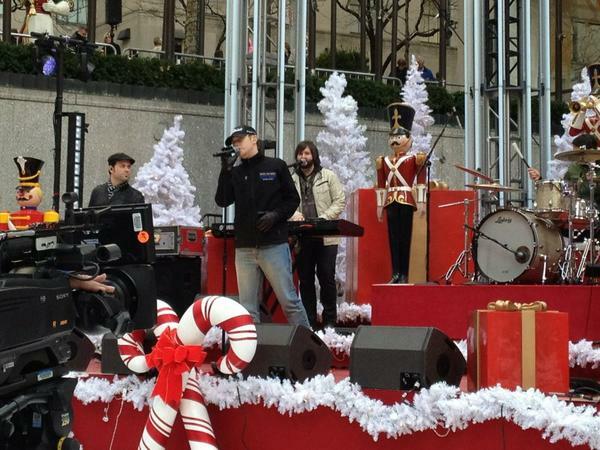 Hope yall enjoyed the @nbc Rockefeller tree lighting show tonight! I had a blast! Definitely a fun way to celebrate a #GOLD Christmas album! 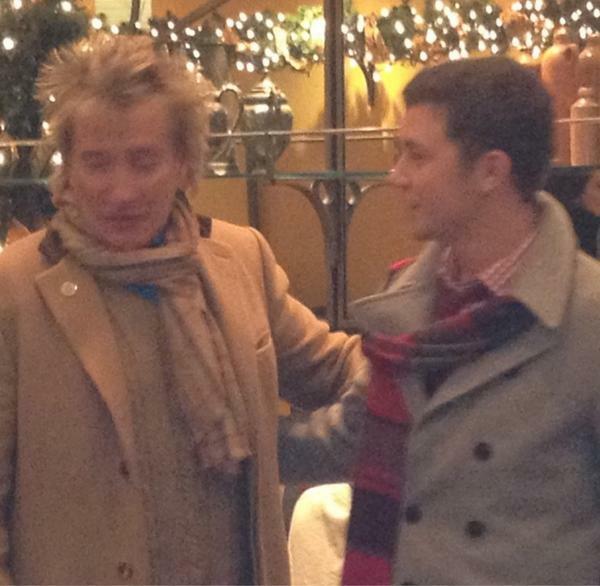 Awesome being w/all my boyz in NYC for #RockCenterXmas ! Merry Christmas everyone!